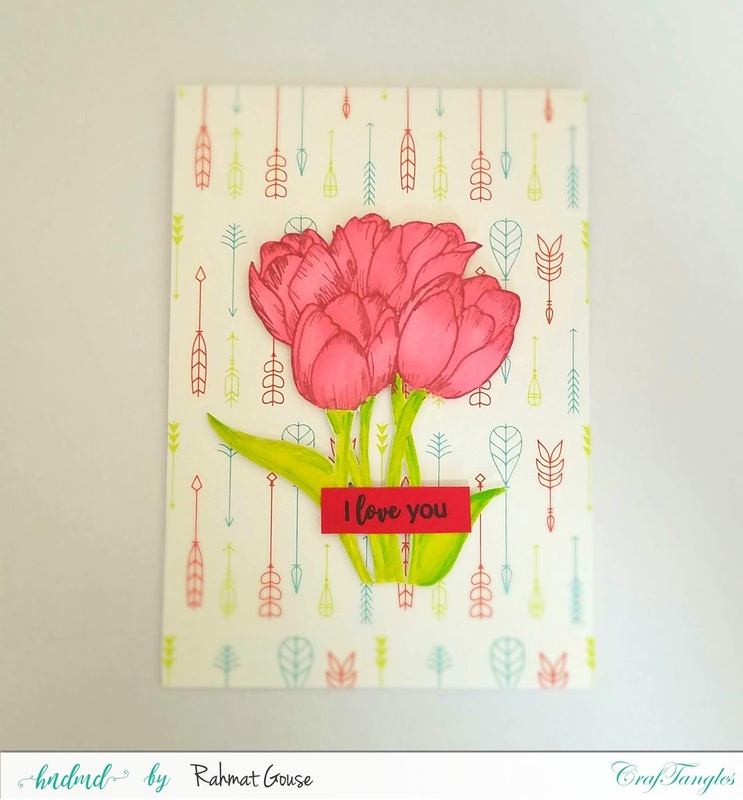 I am up with some inspirations using the CrafTangles pattern papers and floral stamps together. 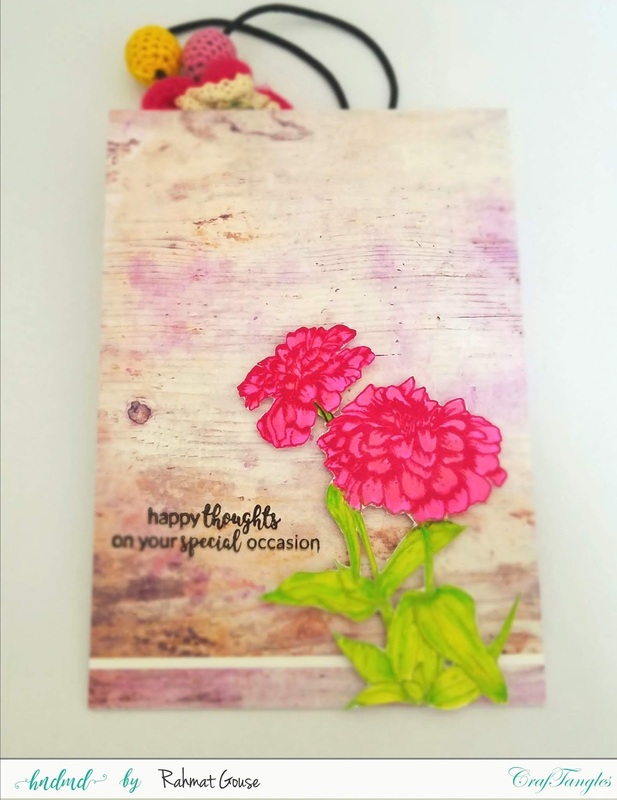 I have 3 projects to share. 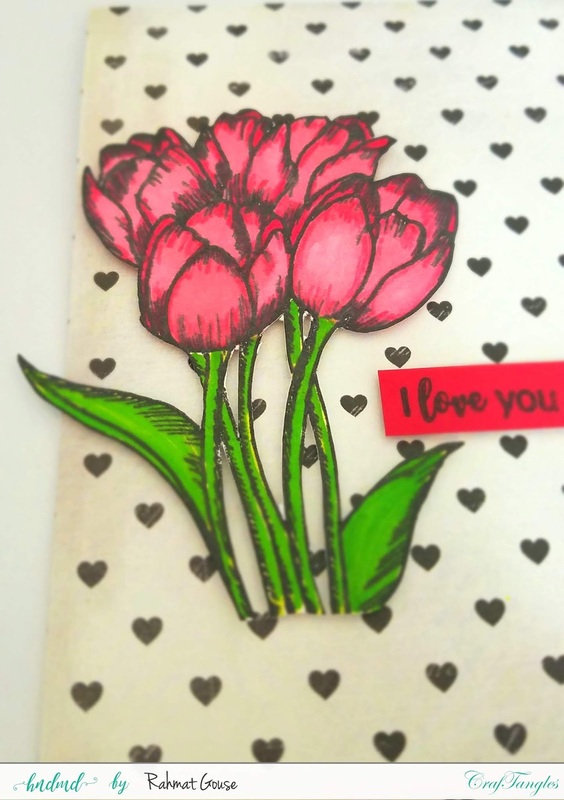 For the first one I used the tulips stamps and stamped in Versamark colored ink and used alcohol markers to color the image. I had fussy cut the image to add to the front. 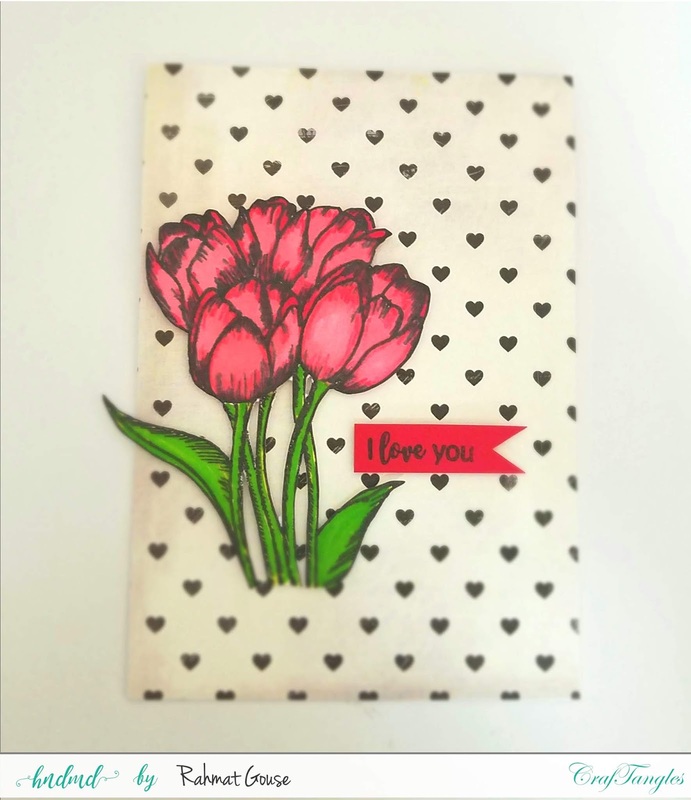 I added the pattern paper to the base card and used foam adhesive to add the tulips and stamped the sentiment on a red strip to add to the flowers. 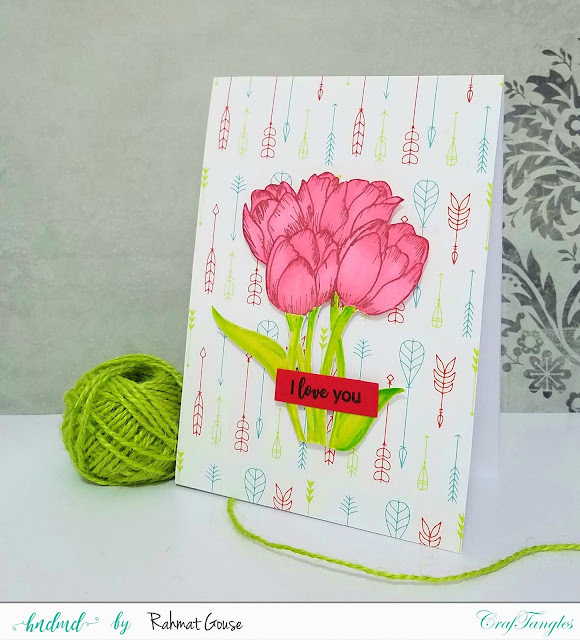 Pretty easy card. 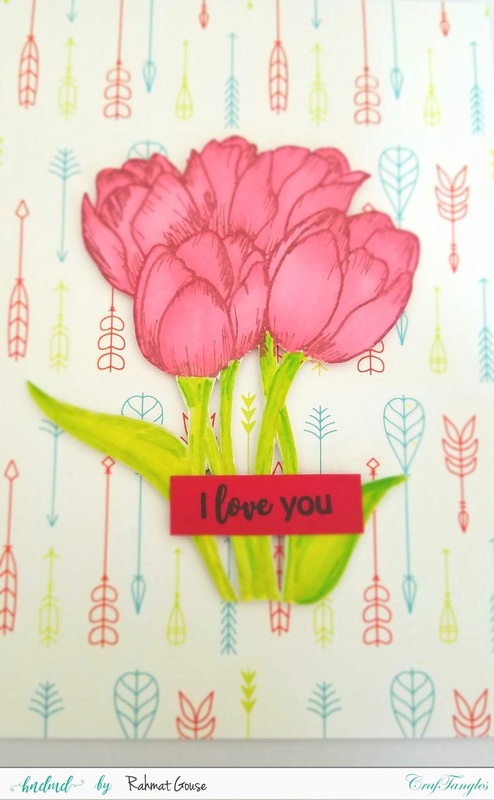 I had used the tulips once again and this time stamped in Versafine Onyx black ink and colored it using the alcohol markers, again fussy cut the flowers. Added the pattern paper to card base and added the flowers to one side and a fish tail sentiment strip to finish off. Another simple card. 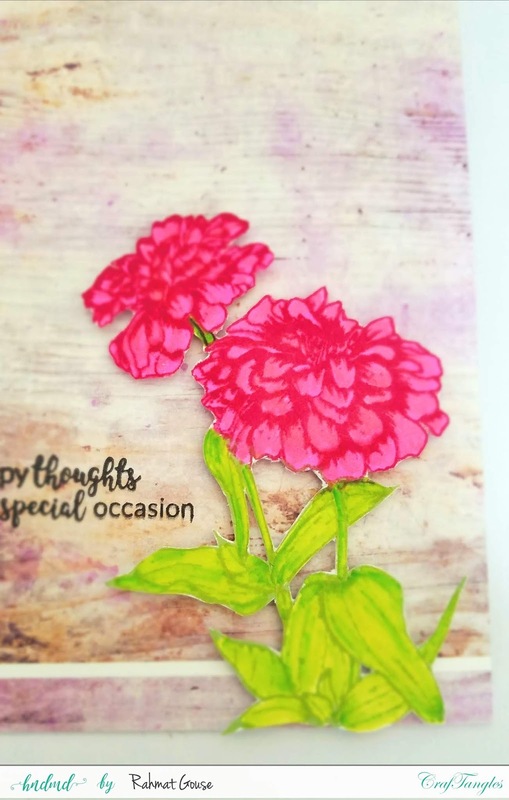 I used the Zinnia stamps here, stamped in colored ink and used alcohol markers to color and fussy cut the image. 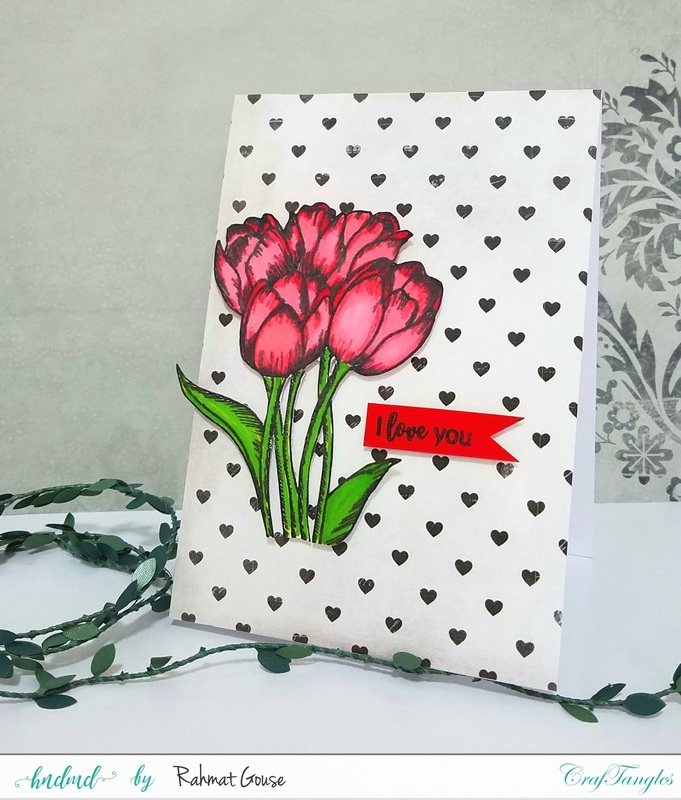 The pattern paper is from the country side pack. 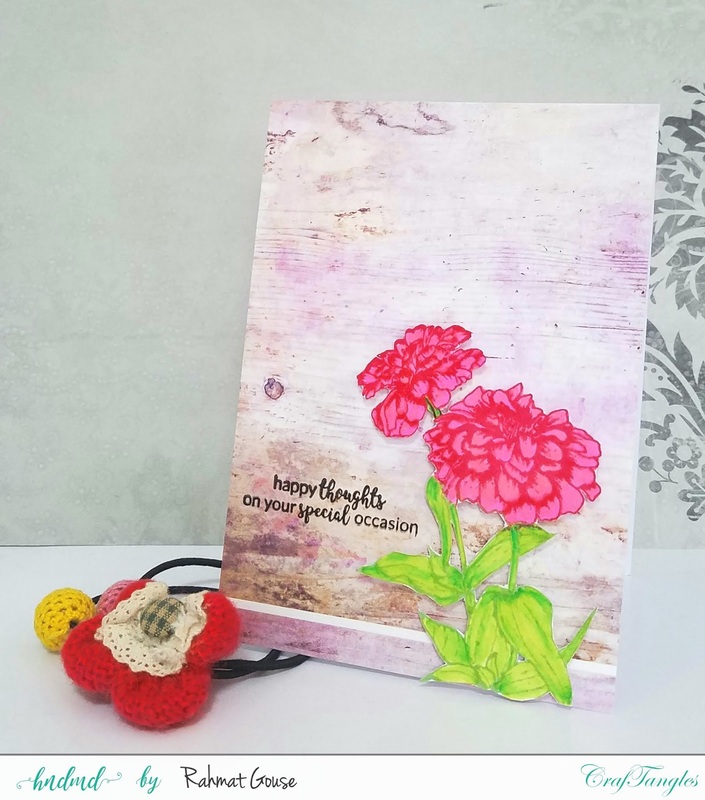 The flowers are again added with foam adhesive, this time I decided to stamp the sentiment on the front itself, as the pattern paper is a perfect BG.